Home/Blog/Ring in the New Year with Docsvault Digital Transformation! As 2019 gets underway, organizations need to shake things up and embrace digital transformation to survive and thrive in the current landscape. They need to ensure that business processes and standard procedures are adhered to as a matter of routine, which in turn contribute to efficiencies. Companies that do not change with the times and follow old-fashioned document management policies, will be inherently less likely to outshine and reach the top of their prospects. Such changes would be impossible without modernized document management. 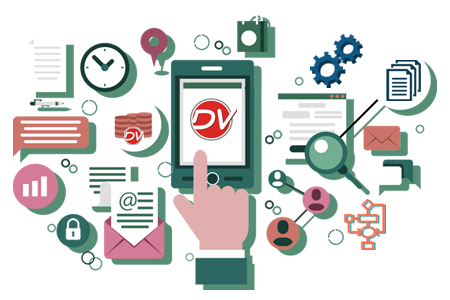 Docsvault document management software allows companies to rethink the way they handle documents. Whether they’re working with invoices, expense reports, purchase orders or employee-onboarding forms, companies that transform from paper-based to automated processes do more than just digitizing paper documents and improving efficiency. What does digital transformation really mean for Your Documents? With a digital transformation document management plan, your transition to digital will be faster, smarter and better. It also helps improve your customer’s experiences. Digitization of documents is the first and the most important process that involves scanning of documents and profiling and indexing them. With Docsvault, documents are scanned and stored in a central repository making your office truly digital, more organized without occupying extra floor space. The biggest driving force for a digital transformation of documents is the ability to access them from anywhere. Gone are the days when document could be accessed and collaborated securely from the office. Today, With Docsvault’s web version, employees around the world, can remotely access their documents from anywhere at any time using standard web browser or mobile application without sacrificing security. Workflow is an important step to ensure any organization’s digital transformation and allows companies to gain a competitive advantage. With Docsvault’s electronic workflow automation, multiple document approval jobs are made easier, faster and error free. This saves time, raises efficiency, and enables teams to work on higher-value tasks. Major document processes are governed by signatures on documents such as forms, correspondences, contracts etc. The emergence of the digital signature has become necessary due to the need for the faster approvals from the top management to meet increasingly shorter deadlines. Docsvault’s Digital signatures are one of the fastest ways to accelerate a business’ digital transformation. Digital signatures help streamline the manual-based process of acquiring signatures for contracts, approvals or any other document that requires a signature; e-signatures is a fast and convenient process for senders and signers. Paper forms have been used for years because they provide a clear, simple way to collect data. However, it’s challenging and are costly to print, slow to fill out and once returned, can be incomplete and hard to read. Thus the information is inaccurate and processes are delayed. Docsvault’s web e-Foms are one of the tools driving the digital transformation agenda that help replace paper forms with easy-to-design web forms that can be embedded on intranets or public websites. Users can customize web forms to match their business requirements. Completed forms can then be submitted and routed electronically to the repository, where they are stored securely in the repository for easy access and further processing at any time. So time is up! Adopt Docsvault’s agile approach this year and transform the future of your own business!